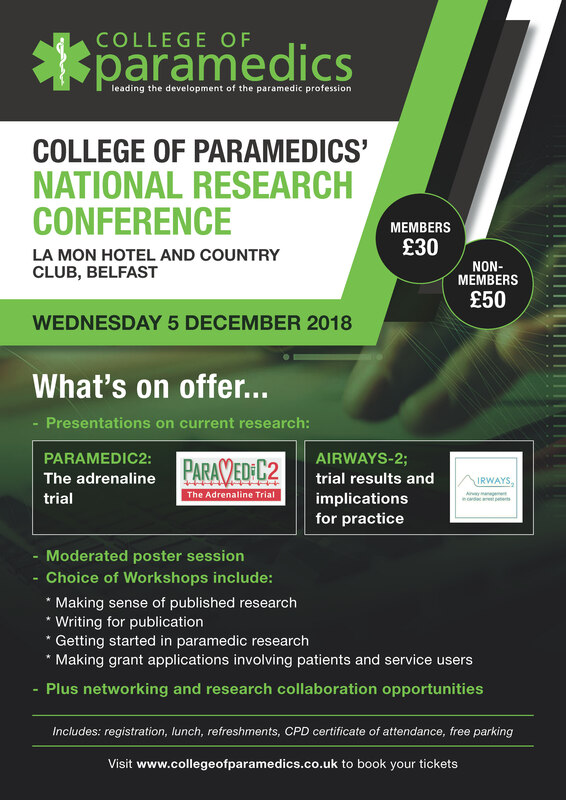 The College of Paramedics (UK) National Research Conference will take place on Dec 5th in Belfast. Thanks to the generosity of our colleagues in the CoP, all ICoP members can now avail of the reduced members rate. ICoP members wishing to book tickets should call CoP head office on +441278420014. Purchases through the website are only available for CoP members.